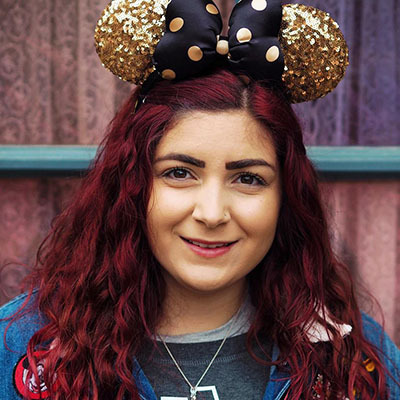 I’m not sure how it’s taken me this long to get around to writing the next installment in my ‘Our Wedding Story’ series but better late than never. Hopefully I’ll have all of my wedding related content written by our first wedding anniversary but I guess it’s not the end of the world if it takes a little longer! In my last post I talked about planning a ceremony that was right for us, this time I want to delve into how we chose a colour scheme for our big day. I use the word ‘we’ but really this should be replaced with ‘I’ because in all honesty Nick didn’t contribute a whole lot to the selection of the colour scheme. I consulted him along the way but I accepted quite early on that where I cared about every single little detail he only REALLY cared about the actual getting married part. That and making sure I was happy with every aspect of our wedding. So if you’re in the midst of planning a wedding and feel like your other half isn’t that interested, it’s not that he doesn’t care, it’s that he doesn’t really mind either way and probably just really wants you to be happy. Having the freedom to choose whatever colour scheme I wanted did make life easier, there were no arguments over this colour or that, but it also meant I had to make the decision myself. A decision which, as a creative person, I didn’t take lightly. 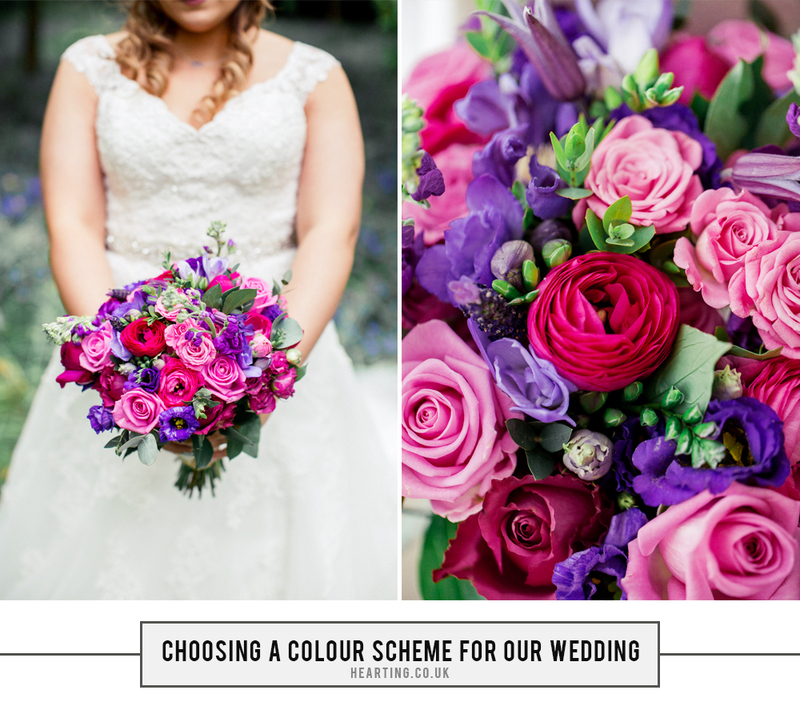 I used three steps to help me choose the colour scheme for our wedding and these really helped to narrow my choices and come to a decision. At the time we hadn’t set a date but we knew that we wanted to get married in Spring. We got engaged at the end of January so setting a date for Spring the following year would allow us a good year and a bit to plan everything. I’ll go into other reasons why we chose this season in a separate post, but when I think of Spring I think of beautiful blossoming trees and blooming flowers like bluebells, tulips, peonies and daffodils. I think of a mix of light shades and brighter colours. There isn’t a colour I particularly dislike as I believe that there are nice shades of every colour but there is no way that I could have gone for colours that I don’t love. I reflected upon the colours I have loved throughout my life, what they mean (colour psychology has always intrigued me), I considered the colours I like to wear, the things I’ve pinned on Pinterest and even the colour palette around my home to help narrow my choices down further. From the very beginning of the planning process, I envisaged a beautiful day with lots of memorable, personal touches that would help tell our story and visual elements that could be used consistently from the design of our save the dates to our reception styling. I knew that I wanted to brand every aspect so it all came together as one, in the same way that the day itself symbolised Nick and I becoming one. This thinking helped to clarify exactly what I was looking for from our colour palette. In the end, I decided on multiple tones of pinks and purples with splashes of green – from muted and lighter shades, to bright and bold tones, I wanted to include as many complimentary shades as possible and our flowers played a huge part in tieing everything together. I chose specific colours for our stationery which were used consistently throughout but everything else was varying shades of pinks and purples which meant we could include lots of seasonal flowers that fitted our theme. I’ve always loved both colours, pink is my all time favourite colour but purple is a close second and I think they complimented each other beautifully for a Spring wedding. Using varying tones meant I didn’t have to worry about everything being the exact tone of purple or pink as I just wanted everything to blend together nicely. For example, the bridesmaids’ dresses were muted pink and purple which looked so beautiful paired with the bouquets. In case you’re wondering about the colour psychology behind these colours; purple symbolises ceremony, luxury, joy and creativity while pink symbolises passion, romance, femininity, warmth and gratitude. These were all qualities I wanted to communicate for our big day, however subtly. I found choosing a colour scheme for our wedding day an especially fun aspect of planning and even now I’m delighted with how it all looked. What do you think of our wedding colour scheme? Did you make any of these same considerations when choosing your colours?